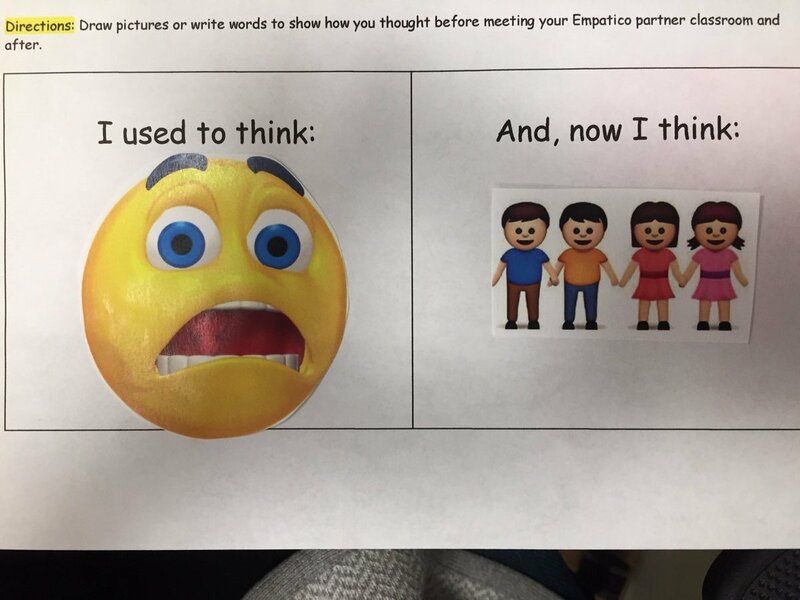 I used to think _______ but now I think _______. This sentence, while simple, challenges students to dig deeper into their education experiences. It’s a sentence that Empatico, a free tool that connects classrooms around the world, challenges students to answer after a virtual exchange. Throughout the past couple of months, we have witnessed classrooms share what they’ve learned as a result of a virtual exchange. We’ve seen genuine relationships grow and unique cultures embraced. But beyond that, we have watched educators learn together and form community around global differences. The inaugural Empathy Project Fellowship in 2018 connected 125 teachers around the world and challenged them to put virtual exchange and empathy at the forefront of their classrooms. These educators participated in classroom exchanges, shared their experiences through collaborative discussions and earned professional development credit for their work. Through our partnership with Empatico, we’ve seen the impact of bringing educators together around a common purpose--which is why we want you to apply for our next cohort of Empathy Project fellows! The Empathy Project Fellowship is a three-month fellowship experience during 2019. It’s free and open to teachers who work with students age 7-11. Want to learn more and apply for The Empathy Project Fellowship? Register for our free, informational webinar about the fellowship Monday, December 17 at 12 p.m. ET. If you’re ready to dive into the application now, click here.